That was a tricky exposure, huge contrast. Fun reflection, nice shot. Contrasty (the cat) but cool. You did a good job. Were those patterns in the car leopard? Cute Cat! Wonderful historic car! Totally awesome! 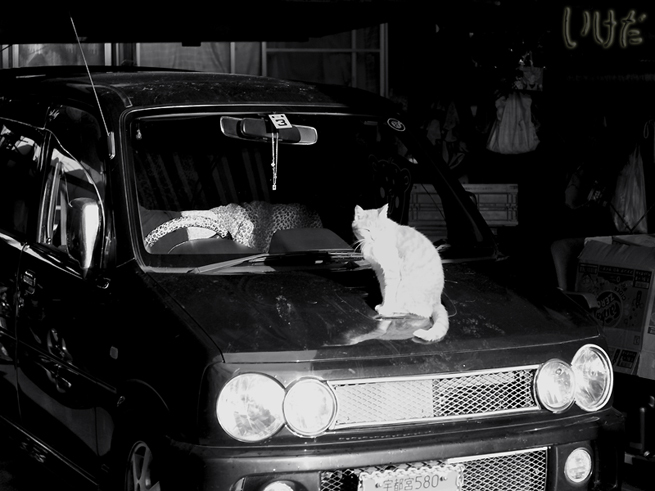 I love the cat's reflection in the hood of the car! Wonderful contrasts! Wow!